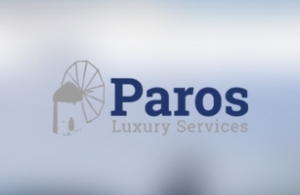 Intros.gr presents the brand new website of travel agency "PAROS LUXURY SERVICES" located in Paros Island. All luxury services that company offers presented via a huge structure and a well presented menu for navigation. You can find Luxurious Chauffeur-Driven Car Services in Paros & Antiparos, Luxurious villas accomodation, fully crewed private charter services or just some services like transfers, catering, concierge or help with a venue are some of the services provided. In intros.gr we developed a dynamic website, with a lot of photos, categories by subject and user friendly form of communication. You are welcome to visit the site .. ! In intros.gr, we believe that a well designed and developed website, can help you find new business opportunities in the web, especially in a competative industry such as tourism. Do not hesitate to request a quote for the design or re-design and development of your website.